The following text was first published in March 2015 in the wake of the Charlie Hebdo terrorist attacks. In the context of the tragic events of November 13 in Paris, this analysis brings to the forefront the issue of freedom of expression and critique of the established political order and media narrative in France as more broadly in the EU and North America. 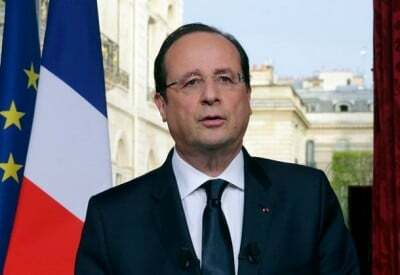 In this regard, Francois Hollande’s decision to establish a State of Emergency constitutes a threat against online independent media including those which are casually referred to as “conspiracy theorists”. With the repeal of civil liberties, the independent media will in all likelihood be the target of State repression. The broader question is the following: is the State of Emergency in France intended to eventually establish a de facto totalitarian regime in France (and more broadly in the EU) under the disguise of democracy, namely to abolish the political and social foundations of the French Republic. This totalitarian environment and its media propaganda apparatus are also required to grant legitimacy to the US-NATO led “global war on terrorism”. As yet, few are aware of how in the wake of the Charlie Hebdo shootings, French Prime Minster,Francois Hollande delivered an official declaration (see full report and text from his speech below). However, Hollande takes it beyond the usual hyperbole and focuses on giving the state an administrative and legal foothold for policing both speech and thought crimes in France. If this can be accomplished in France, then a European roll-out would soon follow.